Pedagogy that is inclusive, that is culturally appropriate and that fosters a stimulating learning environment will address the learning needs of all students. Inclusive practice widens participation by all students and as teachers we know that our classes contain students with a range of language and cultural backgrounds and educational needs. Teaching in order to maximise learning creates an inclusive environment. Develop appropriate strategies that will benefit all students in the classroom. Utilise pedagogical understandings to investigate and reflect on current Aboriginal and Torres Strait Islander, multi-cultural, anti-racism and NESB education policies, programs and services. 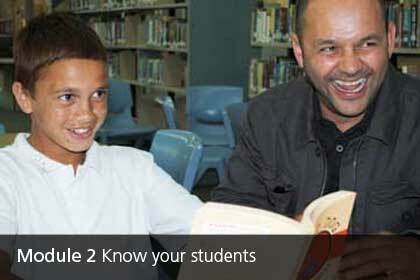 Evaluate your role in contributing to student outcomes, equality and quality of school education.